iOS devices are undoubtedly among the best portable cameras out there and the best way to take photos with these devices is through the stock camera application. While the stock camera application of iOS lacks many features that are easily found on third party applications it still remains the preferred app for iPhone users to take photos because its fast, easily accessible and integrated in the operating system. If you like Camera app but want more features then a new tweak called CameraTweak 2 is for you. It is not a completely new hack for iOS but the developer just released the new version, which has been designed for iOS 7 and ARM64 devices. 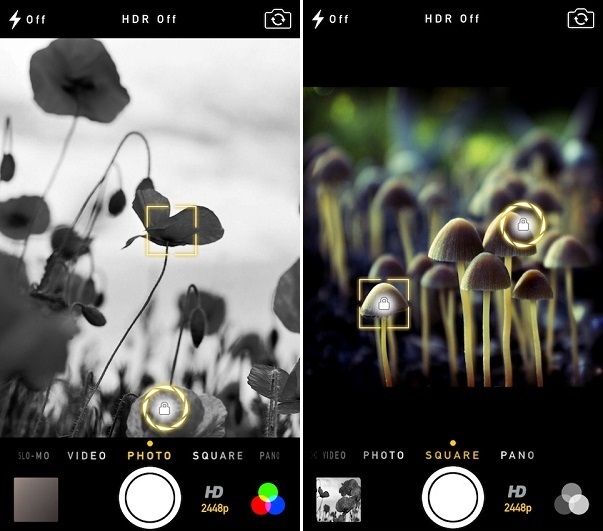 This tweak adds many new features to camera application that will be appreciated by iPhonegraphers including separate focus and exposure views, lapse timer mode, timer, ability for users to choose different resolutions ranging from 144p to 2448p (on iPhone 5s) and White Balance lock. CameraTweak is not limited to adding features to still camera mode as it also brings several new features for video mode as well. Features for video mode include separate focus and exposure views, frame rate settings, resolution settings and white balance lock. CameraTweak 2 is a great tweak that brings pretty useful feature to the stock Camera.app. Its a must have for those who take a lot of photos with their iPhone, iPad or iPod touch and care about details. It costs $1.49, which is not much considering it is adding features to the stock application that are available in App Store’s paid camera apps. With this tweak you are also getting the convenience of using the default app. CameraTweak for iOS 5 and iOS 6 is available separately for the same price.